Spring cleaning is always a good opportunity to rid your home of unwanted junk you’ve collected throughout the year. But it’s also a great time to refresh your interior design and update your overall décor. As you may have seen, we are looking to buy our first home this year. This has actually inspired my inner interior designer and now I’m dreaming about all the new homewares I want to purchase! But I thought I might start small and update my bedroom for now. 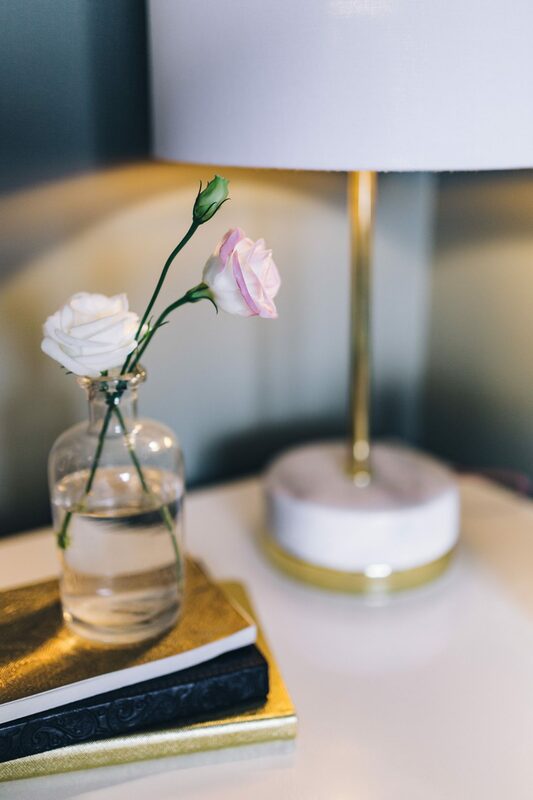 So here are my tips for brightening up your bedroom. 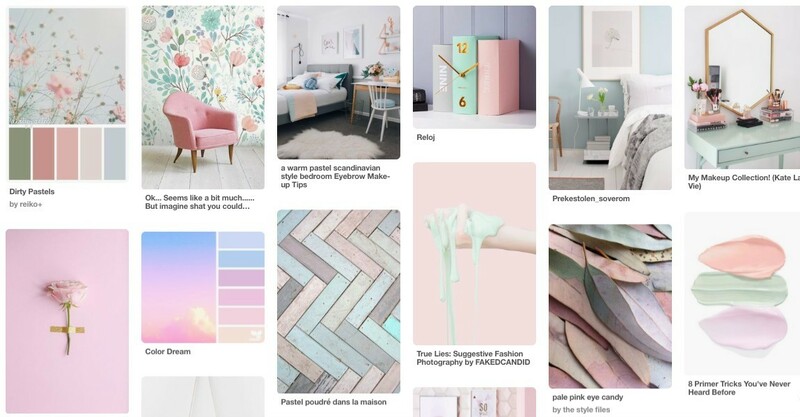 If you’re like me, and forever bound in a world of monochrome, why not try pastels? Bold colours can be a bit daunting. But pastel colours are an easier way of adding a touch of colour to any room. Start with something like small pastel colour-themed plant pots. I’ll admit, we do occasionally buy cheapo sheets from Primark. But at less than £20 for a double bed set, can you blame a girl? However, I did notice the difference when we finally treated ourselves to some gorgeous new bed sheets from John Lewis! The quality is better, and the colours last a lot longer from wash to wash too. Another great way to brighten up your bedroom is to invest in some new curtains. You’ll be surprised how much brighter a room is with brand new curtains. I’ve had my curtains for several years now, so was definitely overdue a change. Again, you don’t need to go full out with bold colours here. Perhaps try out a neutral light shade with a floral pattern? Unfortunately I haven’t been blessed with green fingers, and plants usually die when in my care. However I have been decorating the bedroom with small succulents and flowers. It’s a great way to brighten up a room, not to mention it makes for a great insta pic! Clean white walls, throws and rugs can also help to brighten up a room. I’ve been loving the throws and blankets in H&M and Zara home. They are ideal for keeping you warmer in the colder months and great for adding finishing touches to your overall bedroom. Even now, I’m dreaming about all the fabulous ways I would decorate our new house with bright accents and minimalist lines. But for now I’ll just be updating our bedroom space and pinning my interior design inspo on Pinterest. Still stuck for ideas? Check out Elle Decor or Houzz for more home interior design inspiration. Disclaimer: This is a collaborative post with Direct Blinds. I love pastels! I have a lot of pastels in my uni room, along with some white and oak furniture. I’ve got my eye on new curtains to brighten our dining room and kitchen this year! They’re both black and I hate them. We’ve just had out whole house painted brilliant white, it’s so fresh and bright. These are really useful tips, I’ve got some accessorising to do and I think plants in bold pots are top of my list. Pastels are really the best, somehow i feel they work well all year! i do bring on bright bedsheets in spring! I absolutely loved reading this post, just what I need for inspiration when I change my room up. I completely agree that flowers and plants brighten up a room instantly and just make a room look so homely.